1. Drain all the oil from the canned tuna. 2. Heat some cooking oil in a pan, sauté onion, garlic and ginger. 3. Add in the tuna flakes. Cook the tuna until it’s kinda dry (oil and moisture almost gone). 4. Then pour in the calamansi juice and add the mayonnaise. When properly mixed. Season with salt and pepper. 5. Lastly, add the green onions and the fresh chilies. 6. 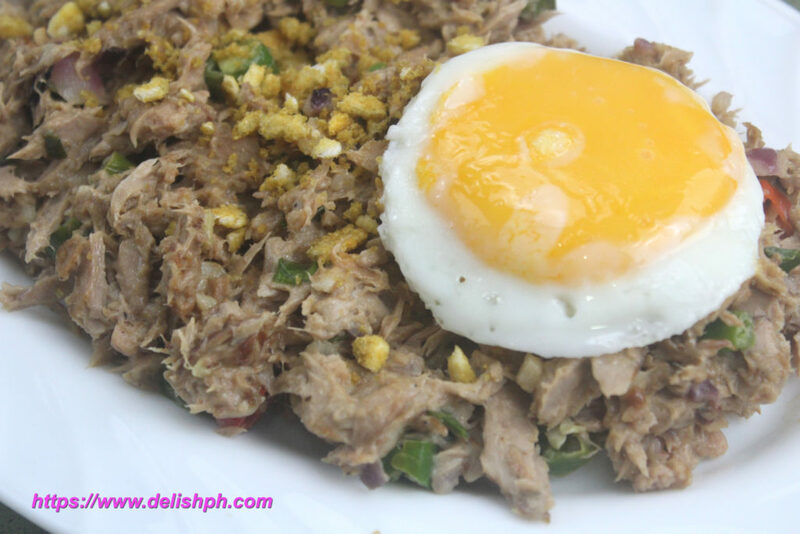 Serve with sunny-side up egg and Marty’s Craklin’ Chicharon toppings for a healthier option. There are definitely a lot of sisig versions. But this is one healthy option for you. 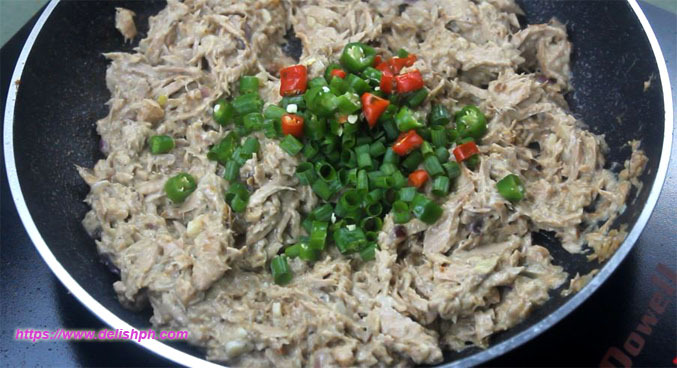 No need to deprived yourself, you can still enjoy sisig in the healthiest way. It would also be healthier if you choose fresh tuna if you have.